Insightful, in-depth, and ahead of their time, the graphic displays of W. E. B. Du Bois and his students showcase the forward movement of African-Americans in spite of longstanding and continuing oppression. W. E. B. 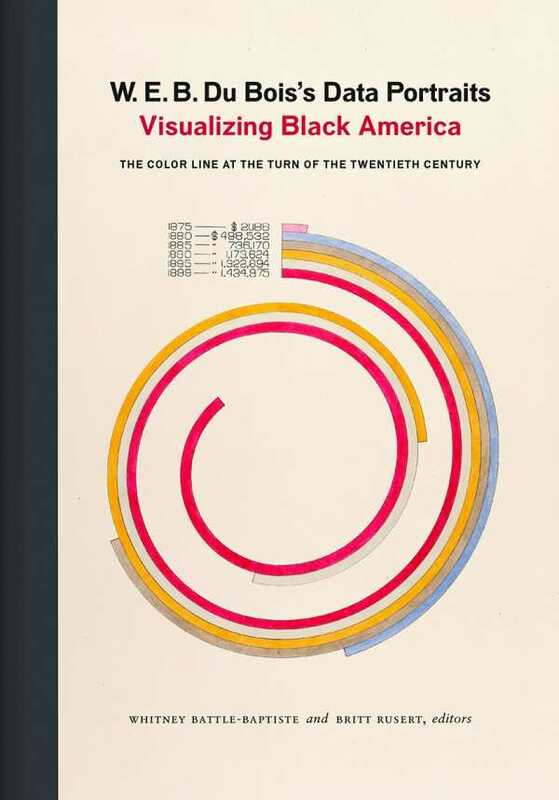 Du Bois’s Data Portraits: Visualizing Black America, edited by Whitney Battle-Baptiste and Britt Rusert, is a compilation of sociological charts, graphs, and maps from the 1900 Paris Exposition, created by Du Bois and his sociology students. The book showcases these informative graphics in crisp detail, and provides essays that contextualize the information presented. The essays discuss Du Bois’s research strategies, the educational climate of the era, and the way these charts fit into his larger body of work. Du Bois is known for having been ahead of his time, and these hand-drawn and designed graphics anticipate many modern information-sharing methods in their creative design and ease of access, similar to computer-designed infographics. The complex information portrayed, from how black families spent their money in the late 1800s to the black population in various states, is accessible and rich in detail. The charts rely on progressive disclosure, telling a narrative by revealing exactly the amount of information one can process at one time, while each chart builds to a wider picture of a situation. The plate descriptions under each chart help the present-day audience understand just how much work and careful research went into the project. What emerges is a portrait of African Americans who, even in the late 1800s, were progressing substantially in areas like increased participation in business, landownership, and school enrollment. The epigraph remarks on how the “problem of the twentieth century is the problem of the color-line,” a quote from Du Bois himself. As many contemplate how marginalization can be eliminated in the twenty-first century, the charts of W. E. B. Du Bois’s Data Portraits offer guidance into how sociology can draw attention to unnoticed inequities as well as under-celebrated progress.